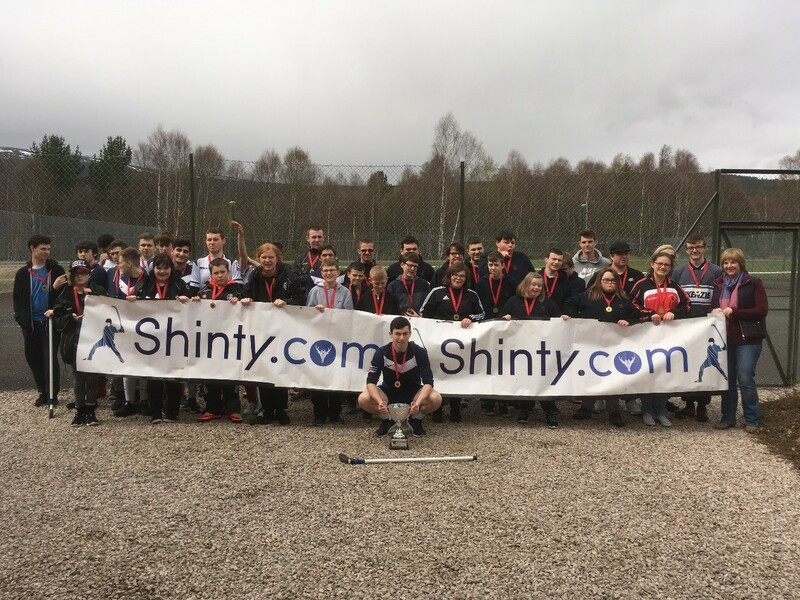 Aviemore was the venue last month, for the seventeenth annual Disability First Shinty Festival which saw Abercorn School from Glasgow emerge as winners. 7 teams and 5 schools from Inverness, Oban, Perth Glasgow and North Ayrshire enjoyed coaching from qualified shinty coaches and games throughout the two day event which culminated in a tournament. The tournament was played on a round robin format with all 7 teams playing each other once, with the top 2 teams making it through to the final. The round robin league was extremely competitive with some excellent play and great goals scored throughout the day. Abercorn School from Glasgow topped the group on maximum points with record holders Drummond clinching second place, two points behind Abercorn. The final, surprisingly was a one side encounter with defending champions Abercorn proving too strong for their Inverness opponents Drummond, running out convincing winners by 6 goals to nil. Camanachd Association President Jim Barr and Rosemary and Aaron Macphee presents t-shirts and medals to all the players and coaches. Camanachd Association Youth Director, Willie MacDonald, said: “This is one of the most rewarding events we hold annually as we are bringing together children who don’t get many opportunities to compete in shinty. The event grows in popularity each year so I hope we build on this success for next year”. 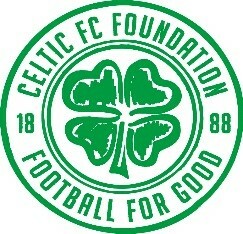 Festival organiser and Regional Development Manager, Ronald Ross, said: I would like to thank our festival sponsors the Celtic FC Foundation “Inspiring Sport” programme and the MacPhee Family for their support of this hugely enjoyable event. 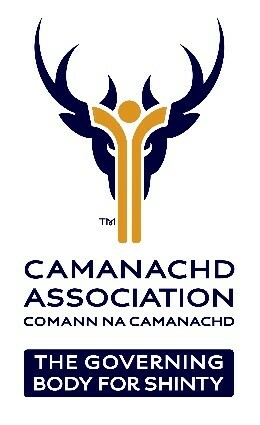 Scottish Disability Sport CEO, Gavin Macleod, said: Congratulations to the Cammanachd Association on another successful Disability First Shinty Festival and well done to all the schools, coaches and players who participated. Pictured is the Abercorn School captain with the trophy, his teammates and other competitors. Also in the picture is Rosemary and Aaron MacPhee.